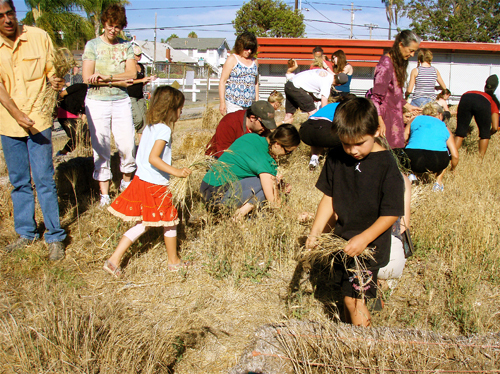 Thanks to everyone who came and participated at the North Park wHEAThARvesT on September 11th, 2010! The event was an incredible success withover 200 guests, including 40+ enthusiastic flash mob dancers. We gathered at the Jefferson lot around 4:30pm, and spent an hour or so harvesting the crop. 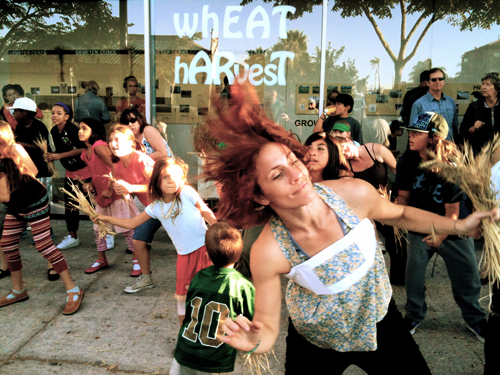 From here, dancers dispersed along the five-block journey to the Art Produce Gallery and joined in as Eveoke's harvest-themed flash mob made its way through the business district. Once at the gallery, guests were encouraged to thresh, winnow and mill wheat from the Jefferson lot. The new Art Produce Garden buzzed with activity as people of all ages and backgrounds mingled to talk about wheat and eat delicious food donated by several local restaurants. Performances from Eveoke's Junior Dance Troupe, the Veggie Monologues and Brothers Gunderson rounded out the evening. David's whEAThARvesT exhibit remained on display at the Art Produce Gallery through October 24th, 2010, featuring the homemade grain processing equipment that participants enjoyed at the September 11th event. 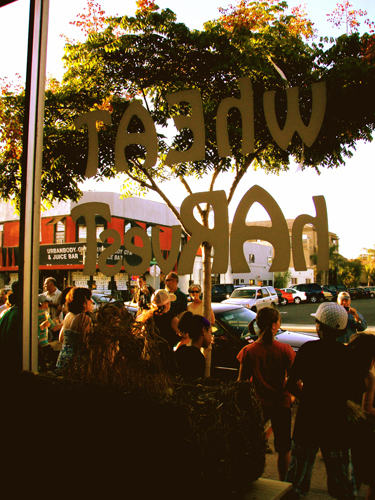 David also made guest appearances at the North Park Farmers Market every Thursday through October 21st, 2010. And an additional thank you to all the community volunteers who participated in planting, weeding, digging, harvesting, clean-up and dancing.